There was a time when I didn’t believe in ghosts. 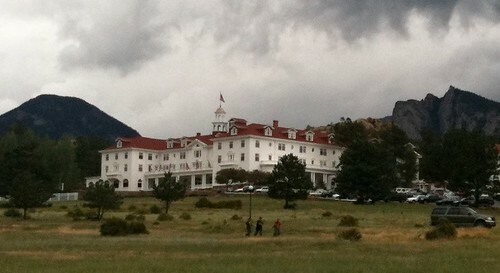 My tour of the Stanley Hotel’s room 217 provided more eerie confirmation in changing my opinion. While I was filming a comedy documentary short about the inspiration behind Stephen King’s The Shining, we had a few paranormal encounters, yet I found the courage to stick around and have a cheeseburger at Cascades Restaurant. Mrs. Wilson, one of the first chambermaids employed when the hotel was built by F.O. Stanley in 1909, is said to still clean and sometimes haunt guests in 217, particularly if they’re messy. 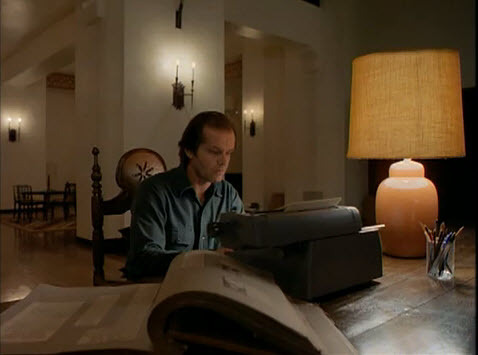 Mr. King had a frightening experience that night, awoke the next day and wrote a new outline for The Shining. What I love about this story is that it was Mr. King’s failure that played the muse for his masterpiece. 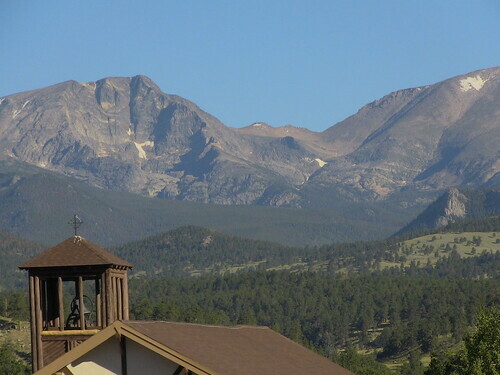 A few days before my visit to room 217 in Estes Park, CO, I had received some harsh criticism on a comedy project. That same week, I heard a story that gave me hope, just down the road from the Stanley at Hyde Chapel. Rev. Dr. Stephen Wende shared a fascinating research study from the book Art & Fear. In short, a class of art students was divided into two groups. Group 1 was told they would be graded on making a perfect clay pot, while Group 2 was directed to make as many clay pots as possible, regardless of how they looked. The researchers were stunned to discover that the absolute best pot was produced by the “quantity” group, not the “quality” group. In fact, the last two dozen clay posts produced by the quantity group were far better than the one pot produced by the “quality” group…. The researchers realized that all the time the quality group was sitting around thinking and theorizing about how to make the exact the perfect post, the other group was just churning them out. And they were pretty bad at first, but they kept making them and making them and making them, and they got better as they went along, until by the time they finished, they were making wonderful, excellent pots. Dr. Wende concludes, “Have you ever thought of the power of being willing to fail and learn and keep on failing until you begin to get it right?” I guess to some, this seems obvious, but in that period for me, with a bruised ego and overwhelmed with doubt, it was an epiphany. Like I imagine Stephen King might be, I am grateful for spirits unholy or otherwise, who guide us through the creative process, encouraging us to complete what we’ve been called to do. About the Cheeseburger & Comedy blog series.